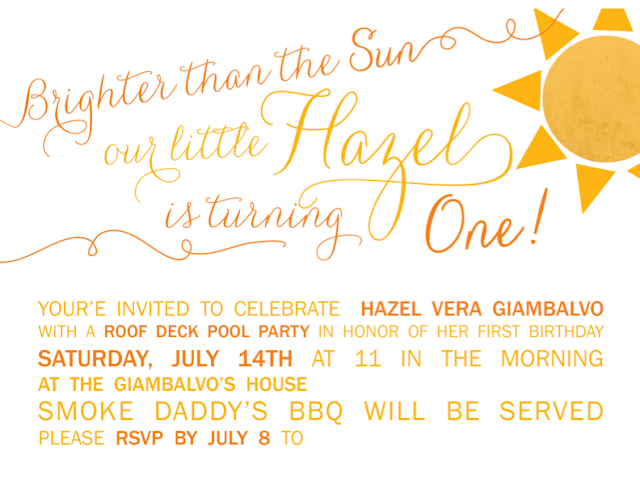 Remember this invite I bought on Etsy for Hazel’s sunshine party? I wanted to show you how I added a few of my own touches to add a little DIY flair. 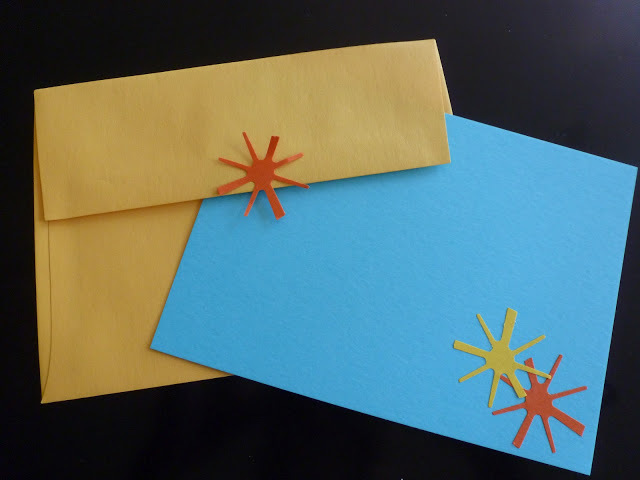 It is something you can do for any store-bought invite to make them a little more special. 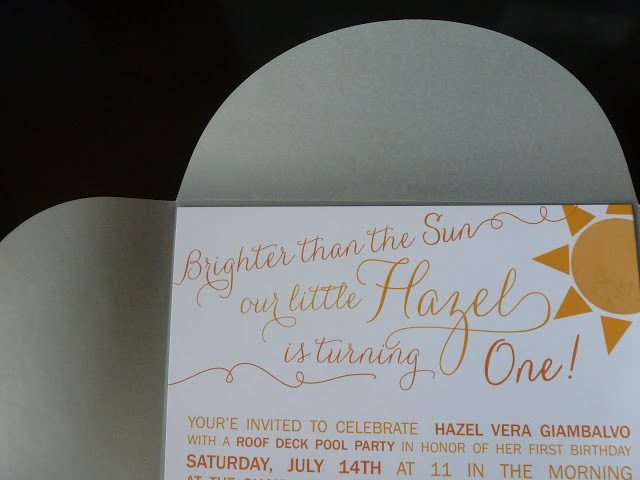 Here is what the invite looked like with a few extra touches. 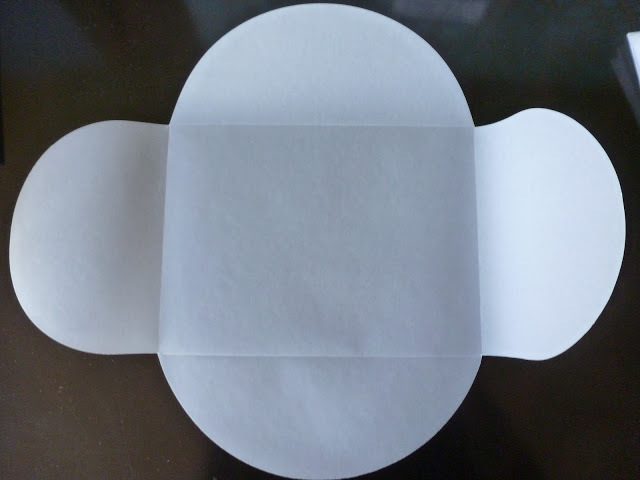 I had held onto a number of these vellum envelopes (called “pochettes“) since I used them with my wedding invites 7 years ago. See, I knew I would have a use for them someday! They were the perfect size for the 5×7 invites. 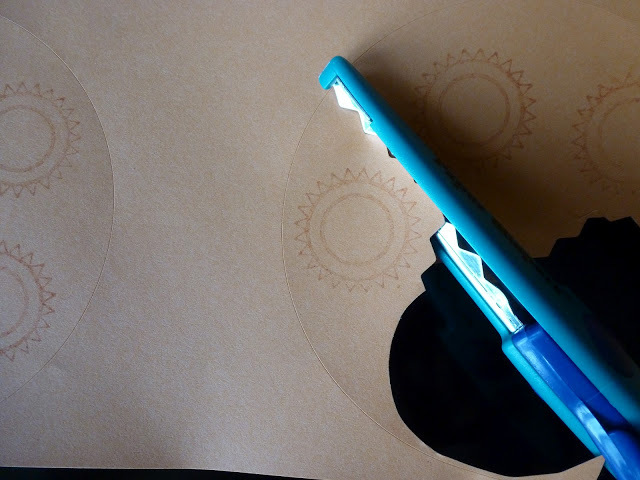 I also remembered that Stella had a sun stamp which I thought would make a cute enclosure. I stamped it onto some round adhesive labels I had already purchased from Paper Source to use on the medallions I made for the party. After the party, I ‘upcycled’ some of the sun confetti leftover from the party to dress up some blue notecards I already had on hand. Ideally, the cards would have been orange or yellow to go better with the party’s colors scheme, but I was trying to be thrifty! 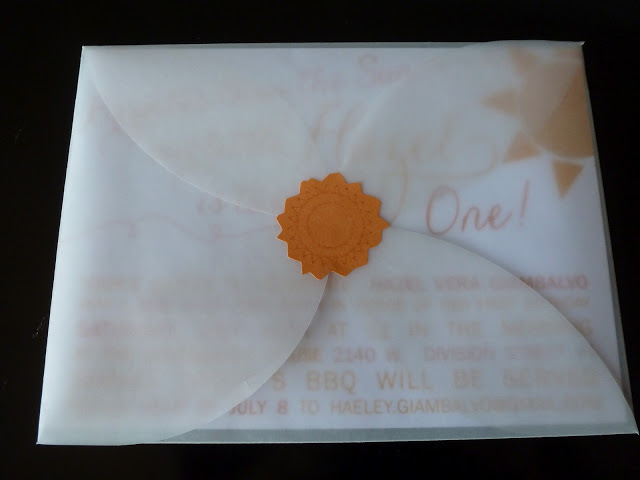 Had I received it in time, I could have used this confetti as an enclosure for the invite instead of the stamp. There are so many little things you can do to make an invite a little more special… next time you are sending one out take a pass through your craft box first to see what you could do to jazz them up! Sweet post. I love your ideas. 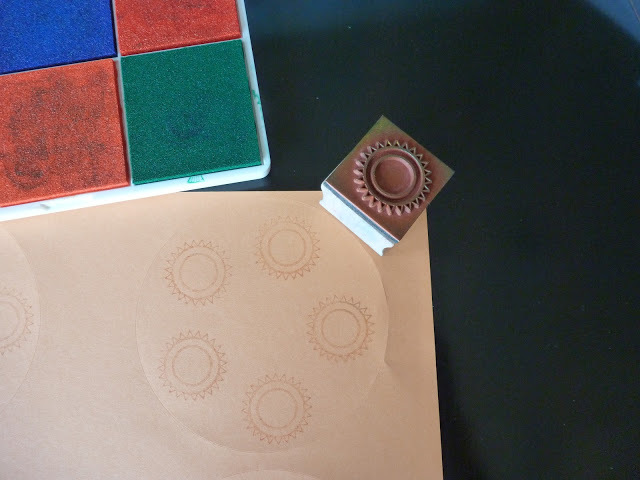 My faves are the vellum envelope and the sunny stamp. Too cute!